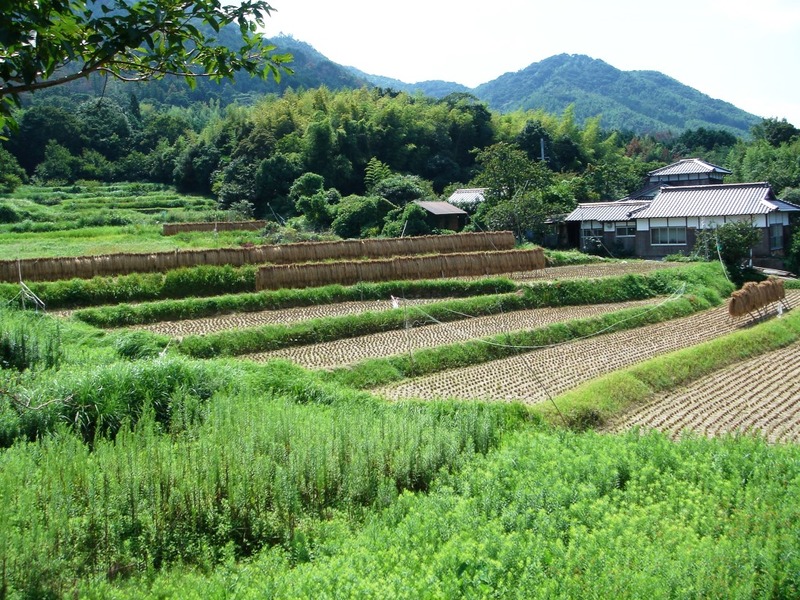 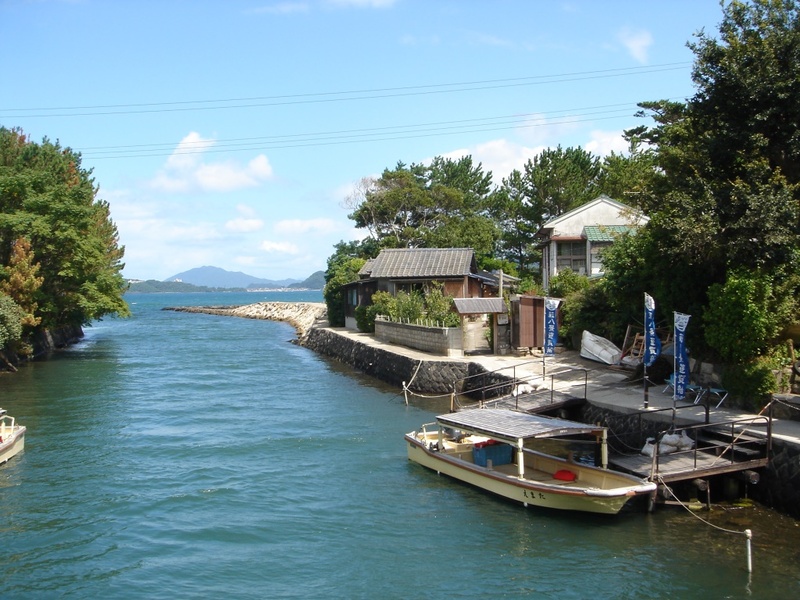 I visited Hagi for the first time travelling with a group of musicians I had followed fromTokyo for a Koto concert in the provence of Yamaguchi. 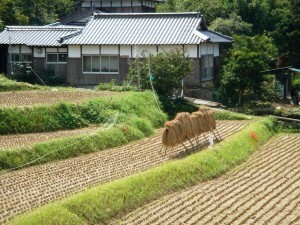 It was the season of the cosmos and the higanbana, the equinox flower. In the fields yet very green, the higanbana flowers were forming pretty red spots. 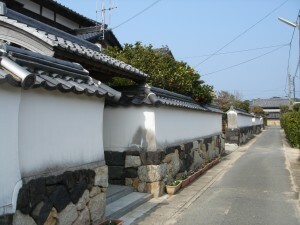 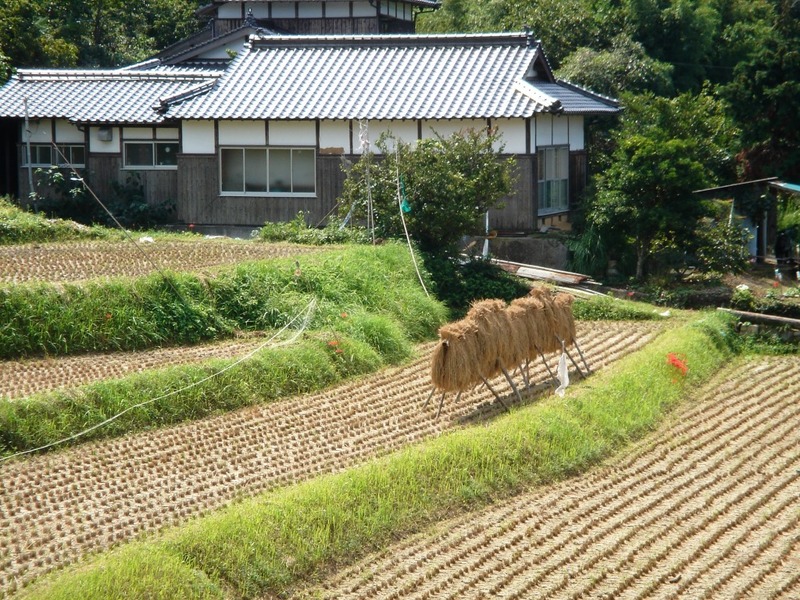 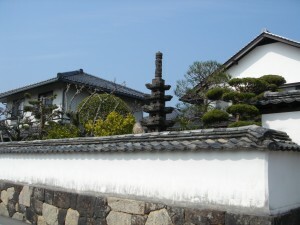 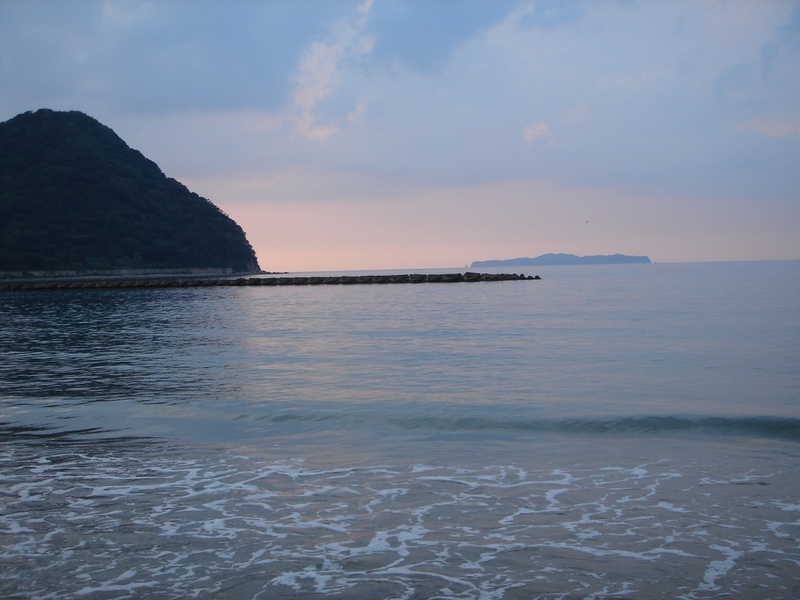 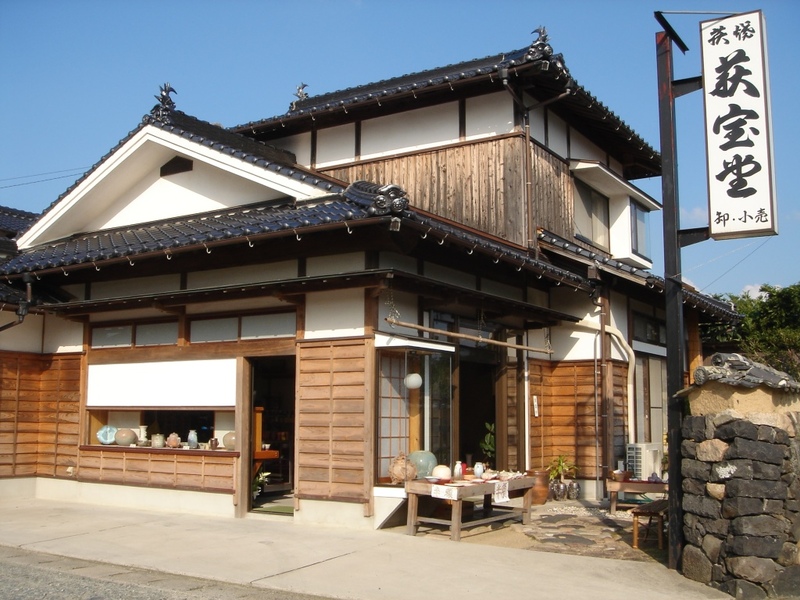 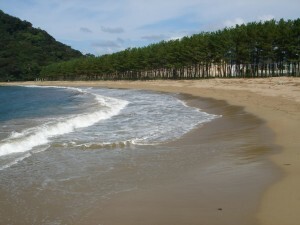 Hagi is a small town wedged between sea and mountains. Located on the west coast of Japan, facing Korea and China, Hagi is a place that once played a role in the country’s history; here too, men have fought to defend an ideal. 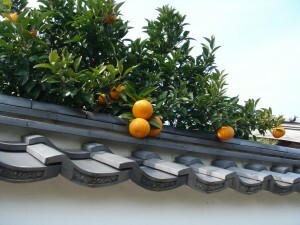 From the past only remain today long white walls from which emerge big tangerines that are called mikans. The color of the tea bowls, made from a clay that is rich in iron, reflects the colors of the land, the rocks, the sand, the sea at sunset. 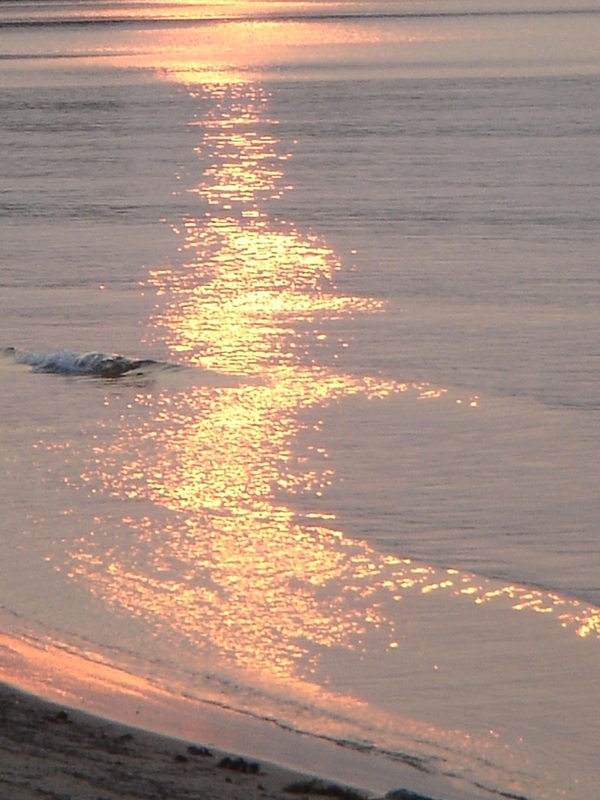 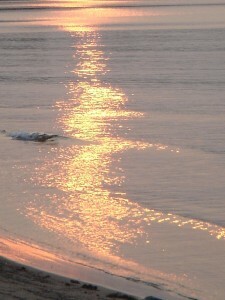 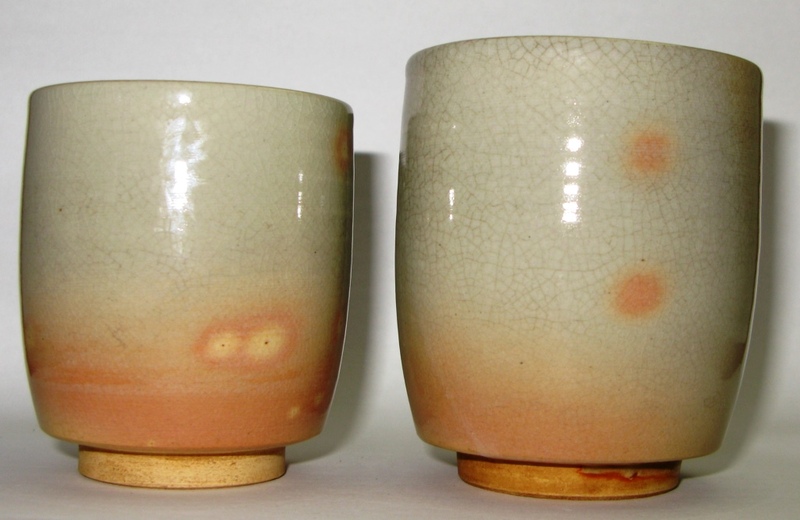 To the simplicity and the sobriety of the ceramics responds the movement of the waves. Islands, sea and mountains, a whole world in miniature and nobody, here again absolutely no one in the streets. 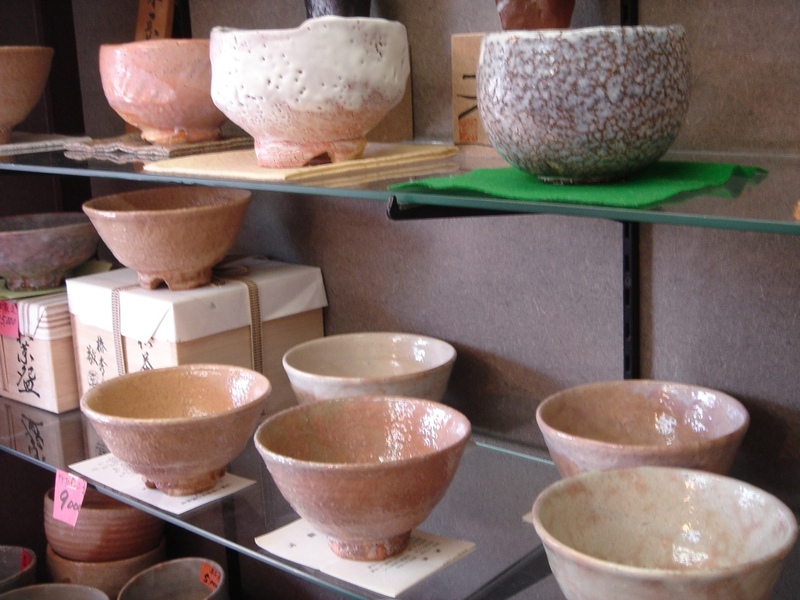 No rush, in a day or in a life time everything will be the same, the city seems immutable like these bowls, malleable clay that once passed the test of fire, are forever indestructible. 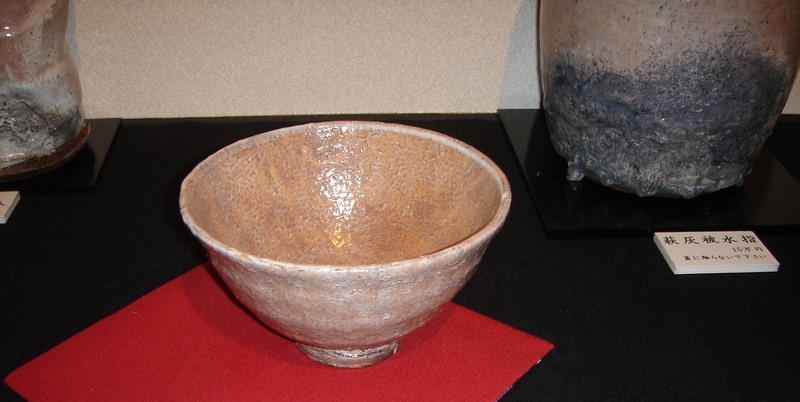 The red clay is difficult to work with but it gives amazing results. 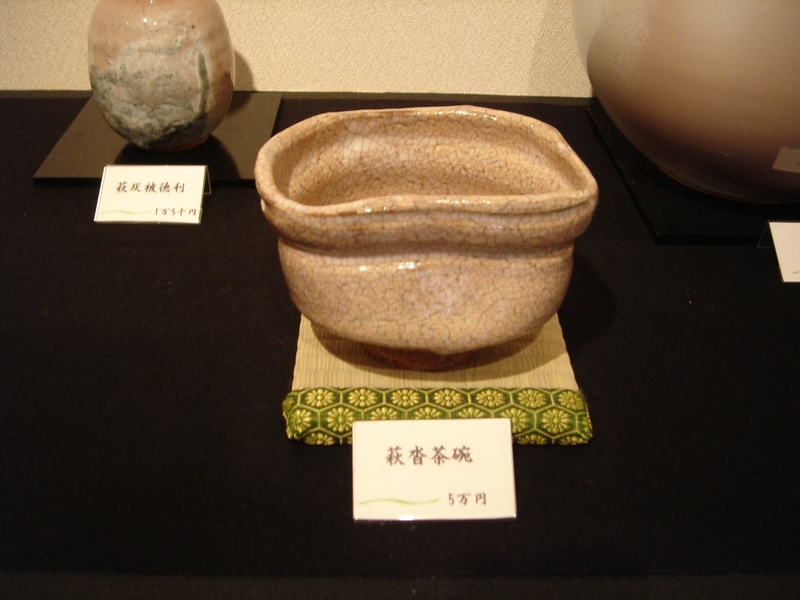 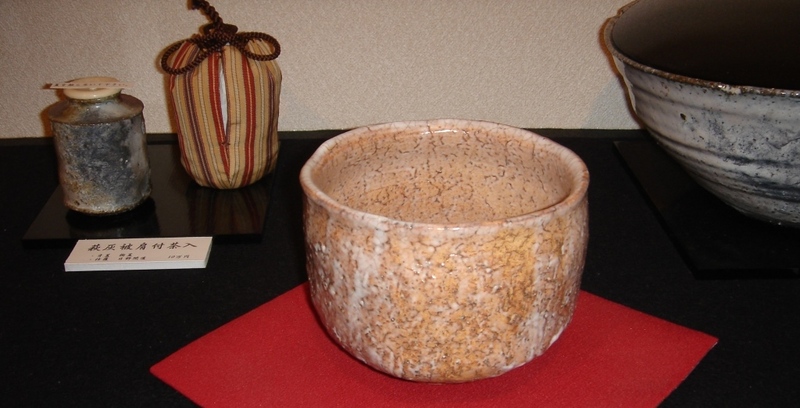 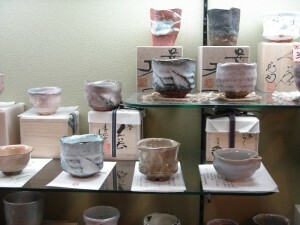 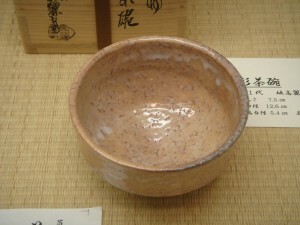 The tea bowls produced in Hagi for the tea ceremony are among the most famous in Japan. They have the property of changing colors as they age. 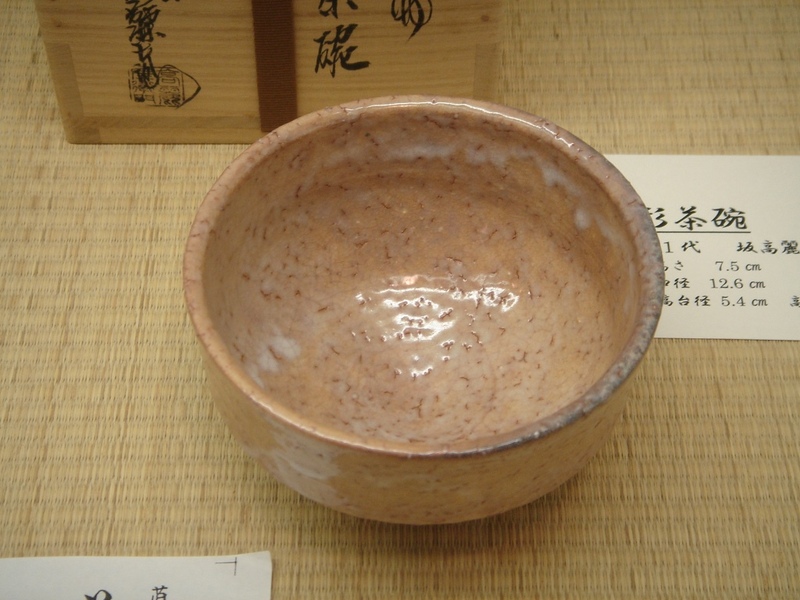 As the tea penetrates the porous skin of the bowl, the pale pink surface takes some ochre hues that blend well with the bright green foam obtained from the young tea leaves. During this first visit, I bought four bowls shaped as goblets, all in different shadings of mixed gray and pink. 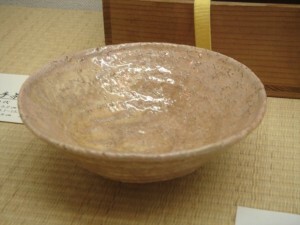 The fifth bowl, the one I did not buy as I did not have enough money and it looked expensive at the time, I know I will now search for it unless one day I can produce it myself. It was a bowl for the tea ceremony while the other four are in two pairs, each pair consisting of a larger bowl, the hand of the man being greater than that of the women. These bowls purchased as gift, I finally kept them usure as I was that they could be rightly appreciated in France. 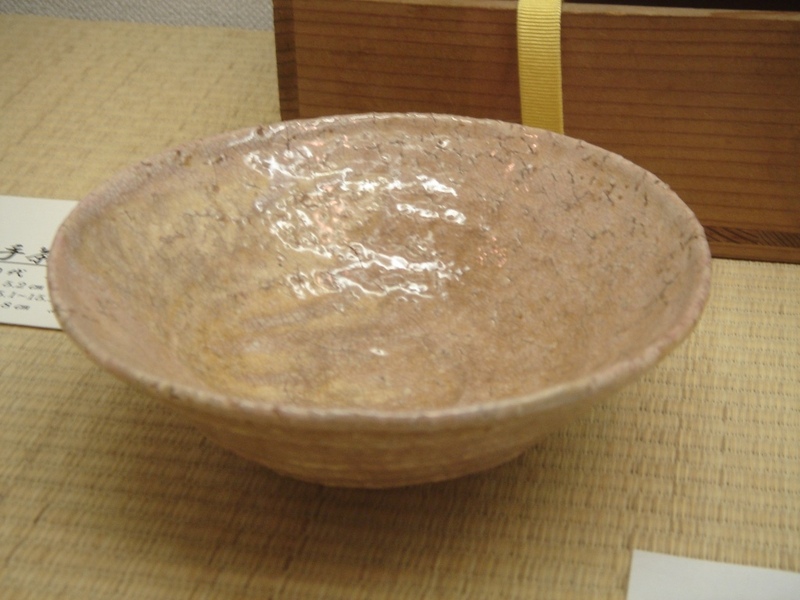 In Japan, the friend to whom I had destined one, refused this gift, a matter of culture, education or feelings, once again, how to know? 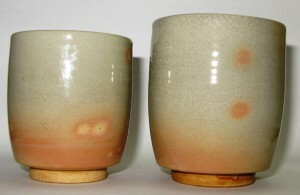 Inseparable companions every morning, since then I have been using these bowls every day. Ce contenu a été publié dans Hagi, Japan. 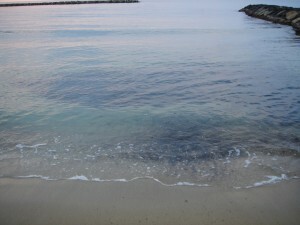 Vous pouvez le mettre en favoris avec ce permalien.